Thrift House, a Junior League of Evanston-North Shore program, recently reopened after undergoing renovations. The thrift store has been around Evanston for more than 75 years and offers low-cost clothing, books and houseware. Ever since its beginnings in 1940, Thrift House, a Junior League of Evanston-North Shore program, has served as a low-cost thrift store serving the community’s women and children. The business has been at three different locations throughout Evanston over its 75 year lifespan. Its current location, 920 Chicago Ave., where it has been since the 1980s, recently underwent “extensive” renovations, said Rebecca Garces, chair of the Thrift House’s ad hoc renovations committee and past Junior League president. Junior League President Anna Pappas said after a period of five weeks these changes were unveiled at a ribbon cutting ceremony Feb. 26 attended by Mayor Elizabeth Tisdahl. The local non-profit thrift store celebrated its official reopening to the public Feb. 27. 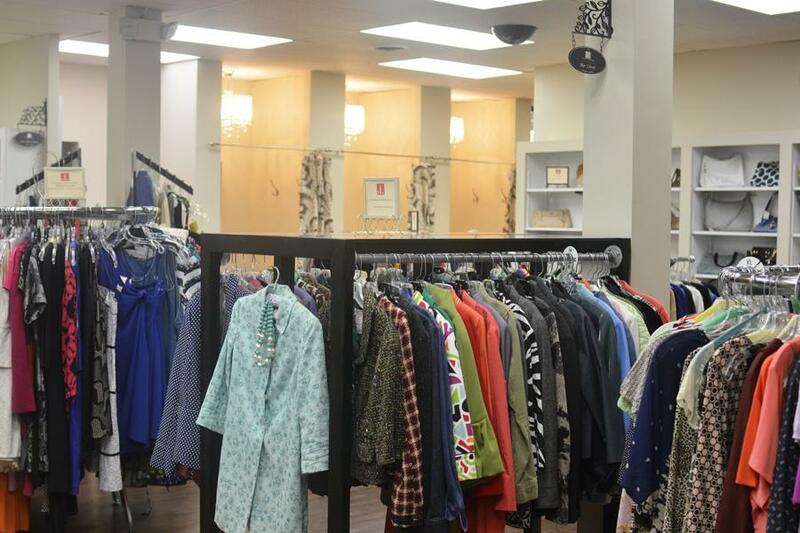 The Thrift House sells low-cost clothing, books and houseware, with 100 percent of the profits going back to the community through grants, scholarships and other charity programs, such as a partnership with Mary Lou’s Place, a domestic violence shelter in Evanston Pappas said. Programs like these have marked the Winnetka-based Junior League of Evanston-North Shore as an organization that has helped women and children in the community since its creation in 1924, she said. Sara Ridder, the Junior League’s Thrift House chair, said in the five-week span, the space’s transformation surpassed her expectations. Without these renovations to revitalize the shop, the Thrift House might have had to consider closing its doors altogether, she said. With synthetic wood floors replacing the old carpeting, new shelving and lighting, a reconfigured store layout and renovated dressing rooms, the shop is hardly recognizable, Garces said. Pappas said these renovations hold a two-fold objective: to attract volunteers and to attract shoppers. The space is now set up to give it a “homey” atmosphere divided into sections like “Her Closet,” “Her Shoe Closet” and “The Great Room.” One goal of such a redesign was to create a more welcoming environment and counter the negative preconceived idea of a thrift shop, Garces said.